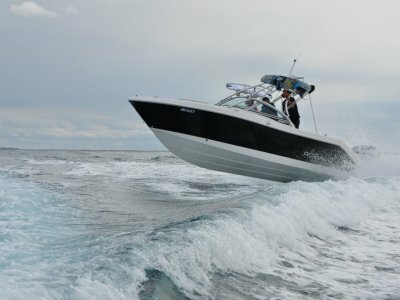 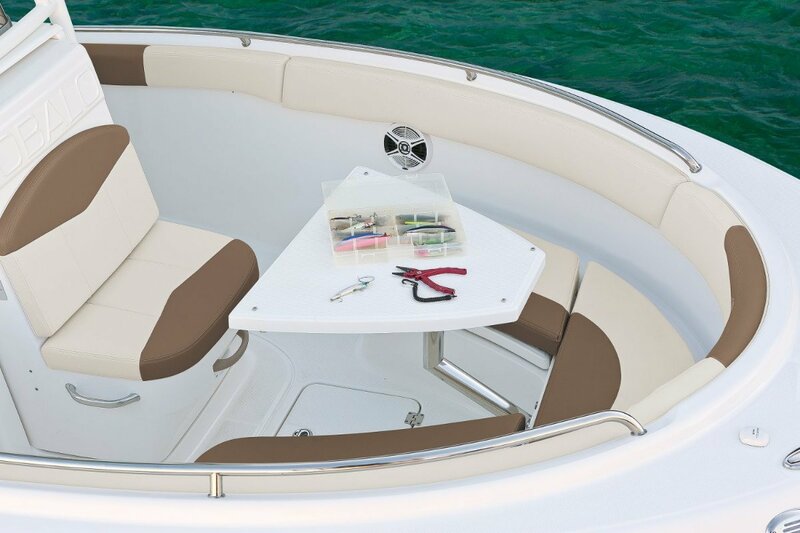 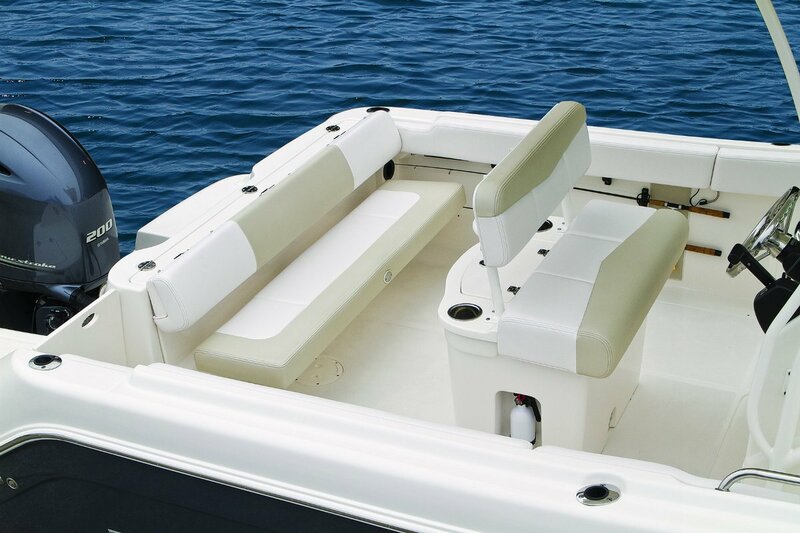 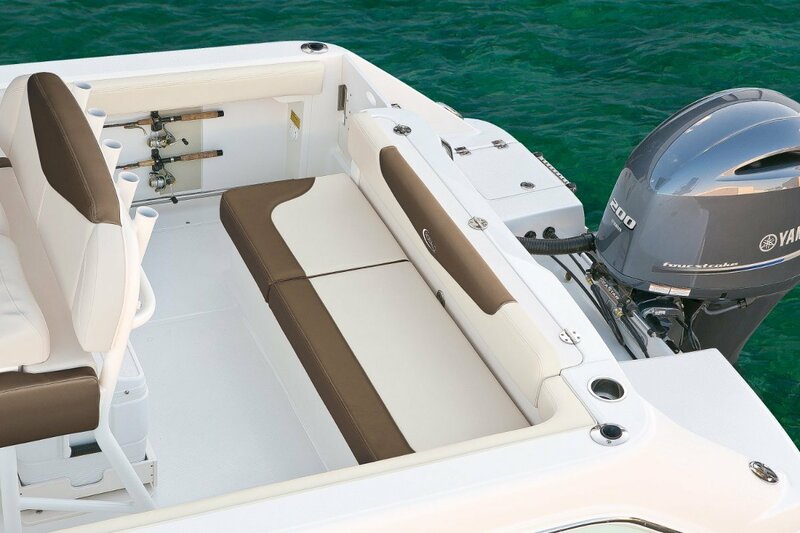 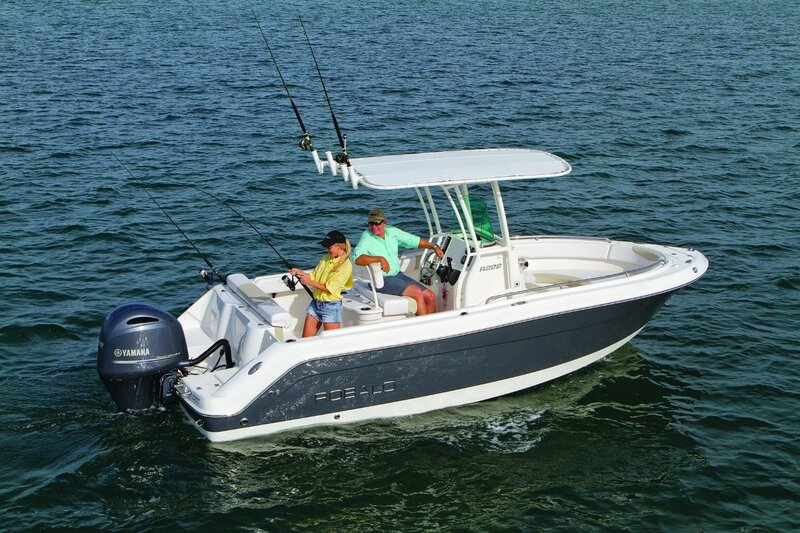 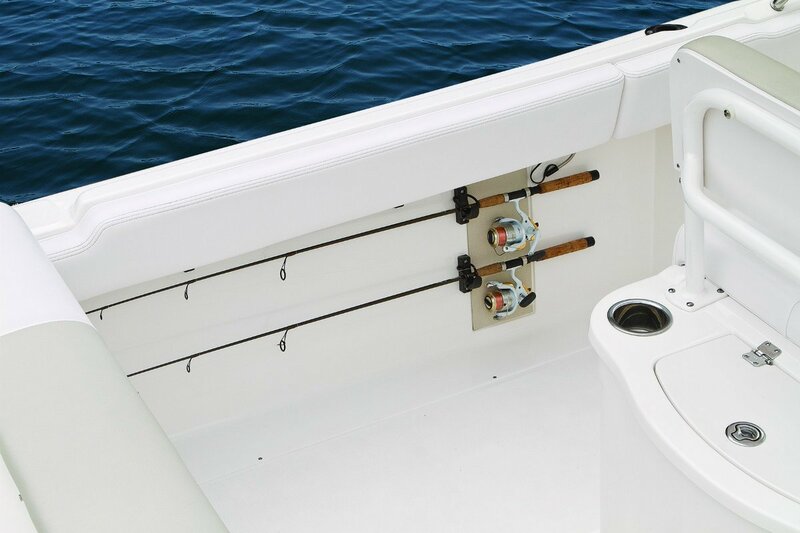 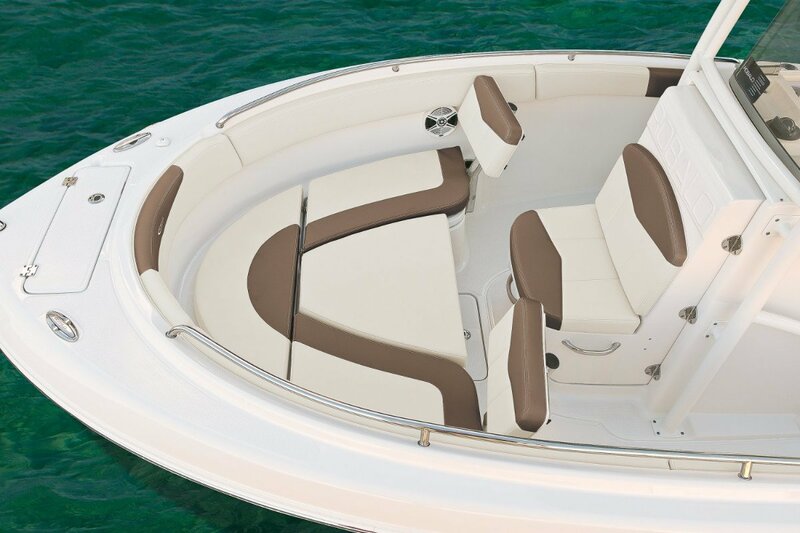 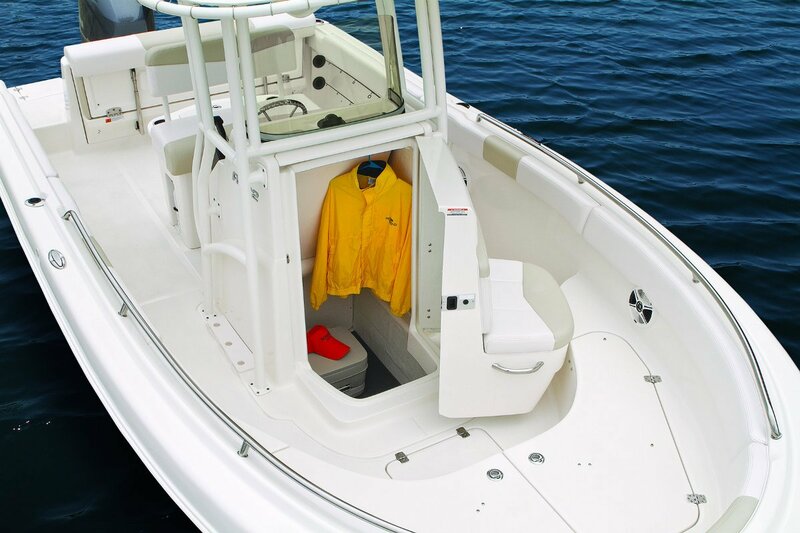 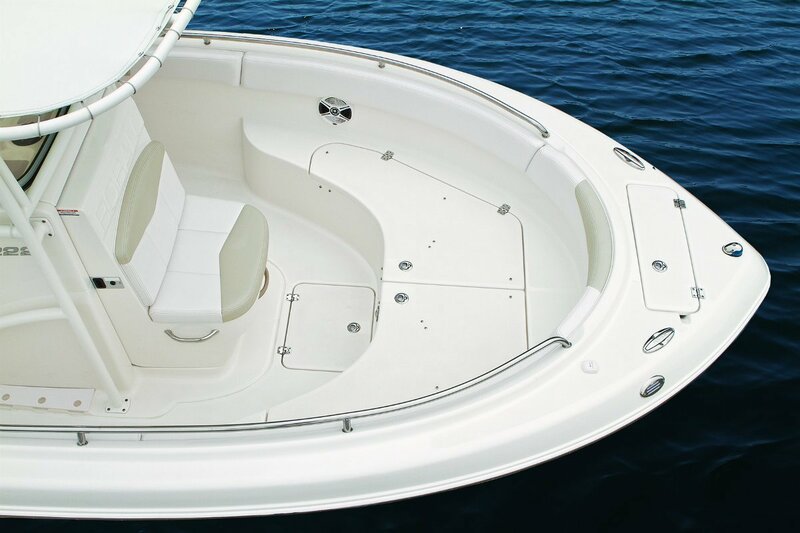 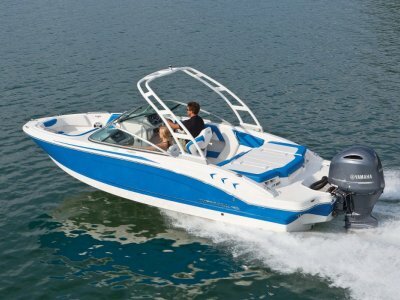 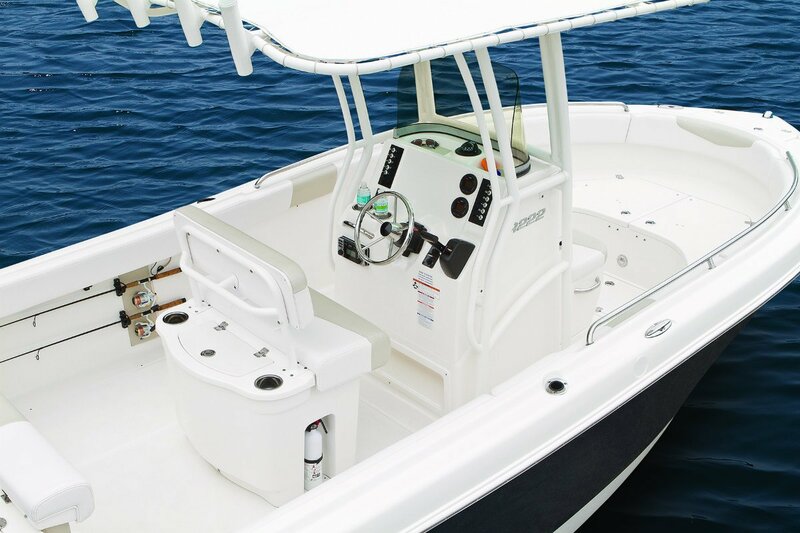 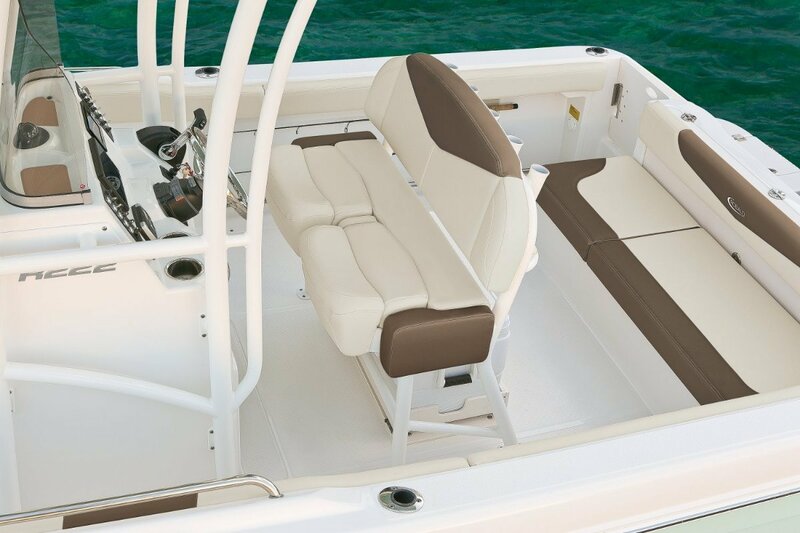 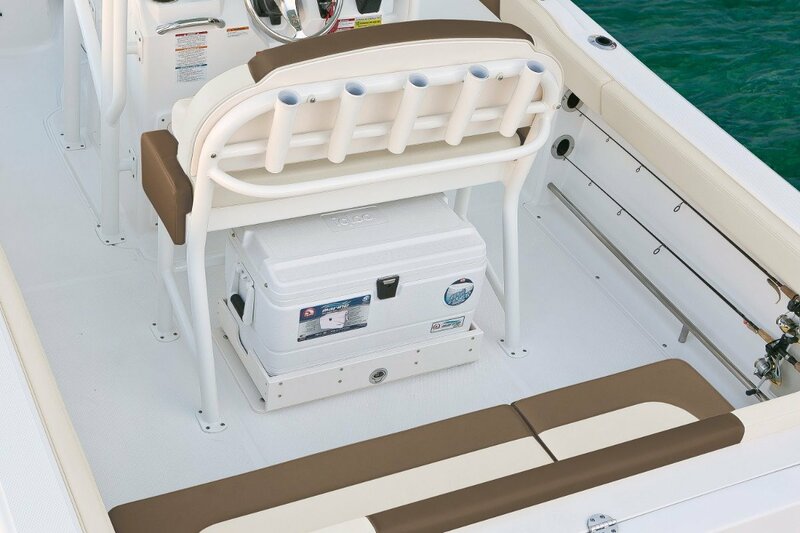 Robalo R222 Centre Console, your choice of outboard from 150HP to 250HP and when compared to rivals are 2-3ft longer, beamier and more spacious throughout; the R222 will have you thinking you are fishing in a much bigger boat. 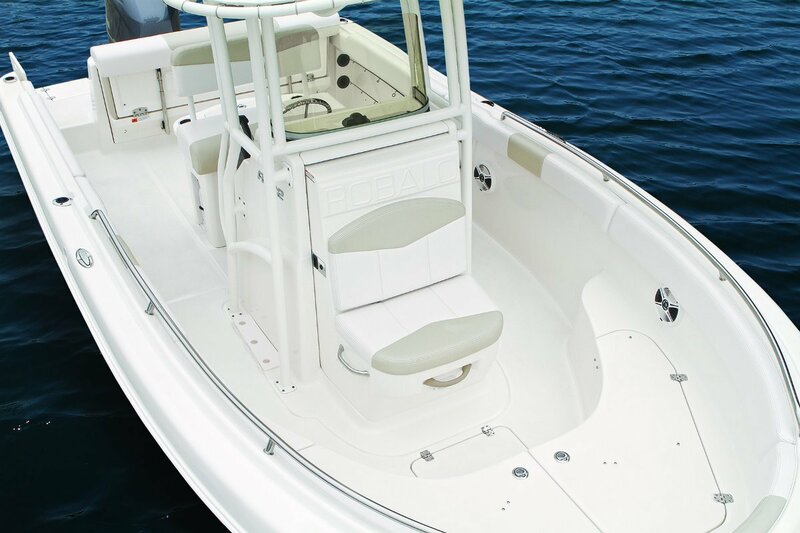 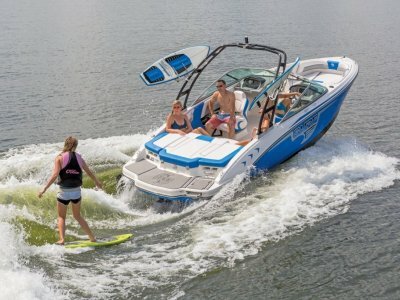 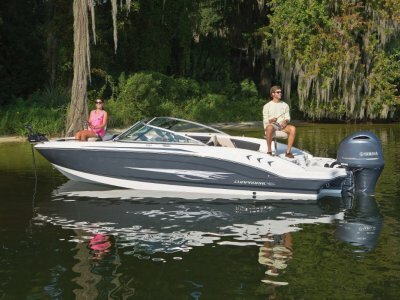 Check out the new ES (extra seating) model if you are looking for more a family version, but either way, what would be premium extras on rival brands are included as standard; including two 30 gallon insulated fish boxes, extensive rod storage, livewell, convertible casting platforms, cockpit coaming bolsters, raw water washdown, self draining cockpit, walk through transom, automatic bilge pump, removable esky, kevlar reinforced hull, 316 stainless steel hardware and plenty more standard features that place the R222 at the front of the pack. 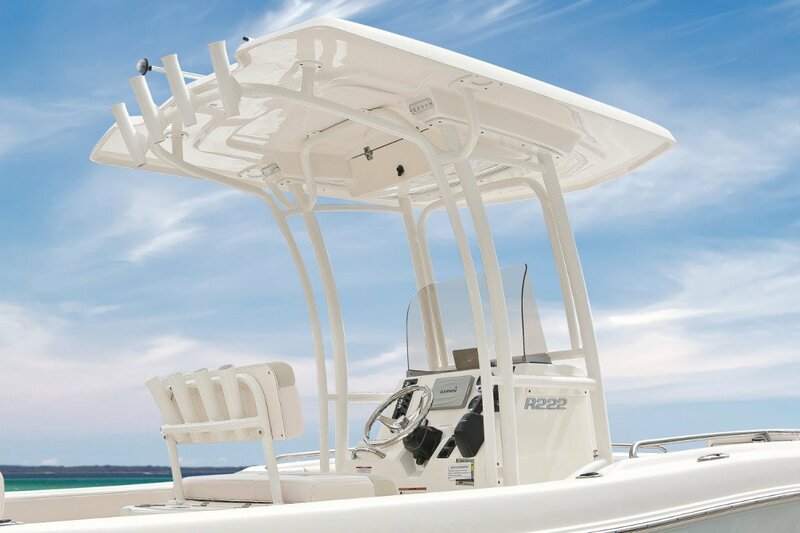 Dont forget the legendary Robalo ride, soft and dry even in the toughest conditions and with 341Litres of fuel on board serious fishos only need apply!